Roasted Eggplant Parmesan Dip – Without Tahini! 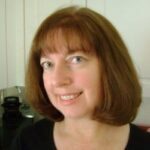 Presto Change-o! 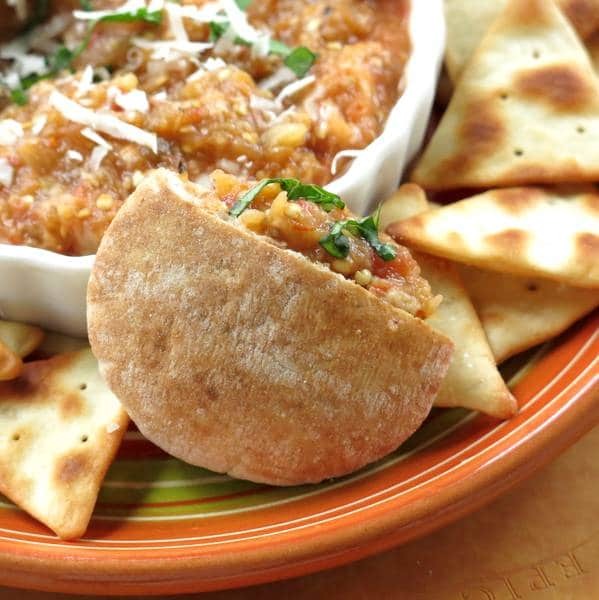 Roasted Eggplant Parmesan Dip is an easy transformation of this classic Italian recipe. There’s no tahini involved, but there is plenty of cheese and marinara. Have you ever seen the videos where someone mixes many very odd things in a blender and challenges someone to try the result? Stay with me…that’s kinda how this roasted eggplant parmesan dip recipe came about. However, this experiment did not involve ingredients that would not go together. Instead, I faced plate after plate of Easy Eggplant Parmesan Stacks. Call me crazy, but leftovers in large proportions make your mind wander and open to new possibilities, especially if you don’t like leftovers the next day! The stacks were so cheesy and melty. I could not shake the feeling that it would be sooo easy to just mix up the leftovers and snack on a dip for the next few days. I literally took the fully prepared eggplant parmesan, skin and all, and pulsed it in a food processor. And…it was so good! This was definitely not the most efficient way to make this appetizer and so let’s just say I’ve been eating too much eggplant in order to perfect this recipe! 🙂 I hope you love it as much as I do! I’m also excited about offering an alternative eggplant dip recipe that uses no tahini…just lots of cheese and pasta sauce. For a dip, a more traditional route is called for, much like you might use for Baba Ghanouj. Cut the eggplant in half and roast it until the outside is tender and crinkly. After pulsing the flesh with some marinara sauce, stir in the cheeses and bake. Garnish with basil and more cheese and serve. It’s that easy! It’s best served warm! Heat it up in the oven if necessary. 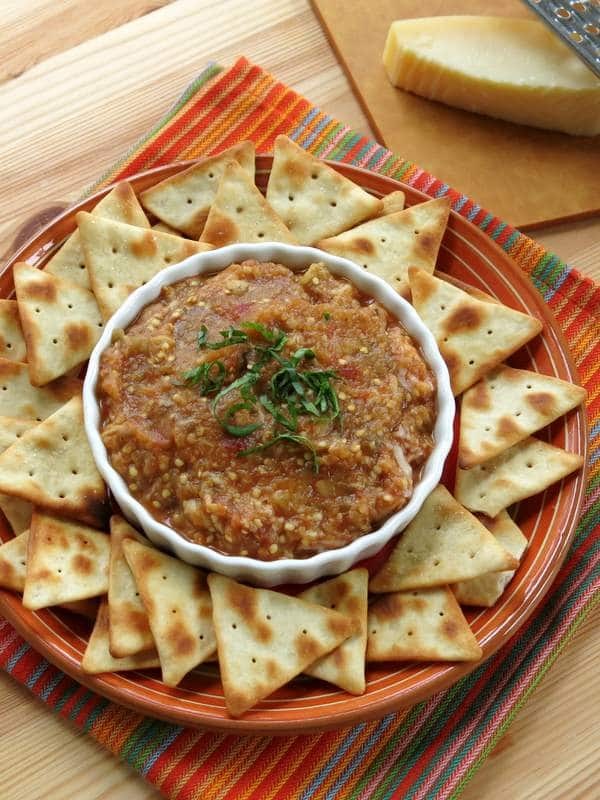 What do you serve with Eggplant Dip? I’m so glad you asked! Of course, crackers and vegetables, such as peppers cut into thick strips are healthy options. Another option is spooning the dip into mini pita pockets. For my gluten-free friends, serve it with rice crackers or on gluten-free toast. Can you freeze Eggplant Dip? You can freeze Eggplant Dip once it’s prepared. Store it in an air tight container in the freezer. When you are ready to enjoy it, remove it to the refrigerator and allow it to defrost overnight. Stir to recombine the ingredients and heat in a 350 F oven for about 25 minutes. I like to store small portions for snacking and reheat in a toaster oven. It’s good. Check out our other appetizer recipes here and be sure to tag @DinnerMom or #DinnerMom on Social Media! Roasted Eggplant Parmesan Dip is a healthy spin on this classic Italian Recipe. There's no tahini, but there is plenty of cheese and marinara! Pierce the outside of the eggplant with a fork 4 or 5 times and cut the eggplant in half lengthwise. Brush olive oil on the side that was cut. Place eggplant, cut side down, on a baking sheet coated with cooking spray. Roast for approximately 30-40 minutes or until skin is crinkly and fork tender. Remove from oven and allow eggplant to cool for about 10 minutes. Scrape flesh into a food processor, discarding outside skin. Add marinara and salt to food processor and pulse until a chunky consistency. Scrape eggplant mixture into a baking dish and stir in cheeses. Bake for approximately 20 minutes or until dip is hot and bubbly. Garnish with Parmesan cheese and basil, if desired. Serve hot with crackers, crudites or pita pockets. Use low-fat cheese and marinara sauce with no sugar added to keep recipe South Beach 1 Compliant. Nutritional estimate for dip only. absolutely love this recipe and cannot wait to try it out! Thanks Shaina! Let me know if you do! What a great looking dip, and oh so healthy too!! YUM!!! My husband loves eggplant and he is converting me as well – this does sound like a eggplant parm in a dip! Great recipe. Thanks Deb! If you like eggplant parm, then this should be a winner! 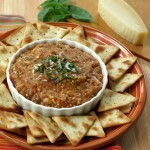 Ooh, I love the idea of a roasted eggplant dip…especially when cheese is involved! Thanks Liz! Cheese does a way have transforming a dip!